The world in which we live is stressful and many find themselves living with high levels of stress and anxiety. News of war and natural disasters do not help alleviate the stressful conditions in which we find ourselves. In fact if you ask most people what they desire most, happiness and inner peace rank highest on the list. 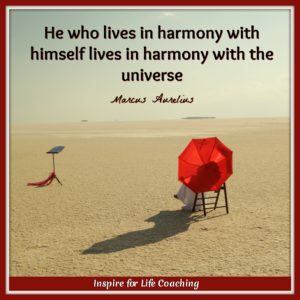 The quotes shared in this post will help you find the inner peace you desire although this will not be a miraculous event. These quotes are the wisdom of great sages that hold true, even today. I hope that they will encourage you in your personal growth as you spend time in introspection and cultivating your own wisdom. In this quote, Steven Aitchison suggests that you should walk in the direction where your peace is found. Does this mean that peace can be found in a certain place? Perhaps a favourite spot in nature, a favourite country, or within another person? No it doesn’t. 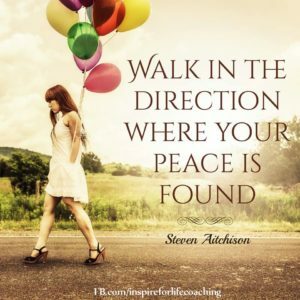 What Steven encourages us to do is to journey to that place where peace is for each of us. He is suggesting that peace is a personal experience and finding peace is a personal journey. It is a universal experience, but the experience is not universal. 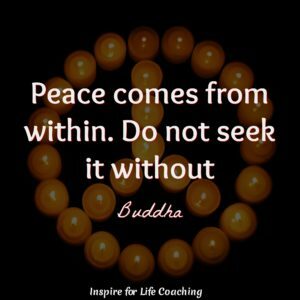 Buddha taught us that peace comes from within and is not found elsewhere. However, we often engage in peaceful activities such as meditation and yoga or even look for it in religion or relationships. While these activities are peaceful, they should not be confused with being at peace. The state of being at peace within oneself is a state of deep acceptance. It means to accept both our light and shadow sides and understand who we really are. Often we believe that we will be at peace when… When the war is over, or when we end that relationship, or have a job we love. This is an illusion that we create for ourselves because while the circumstances may change the inner being does not. 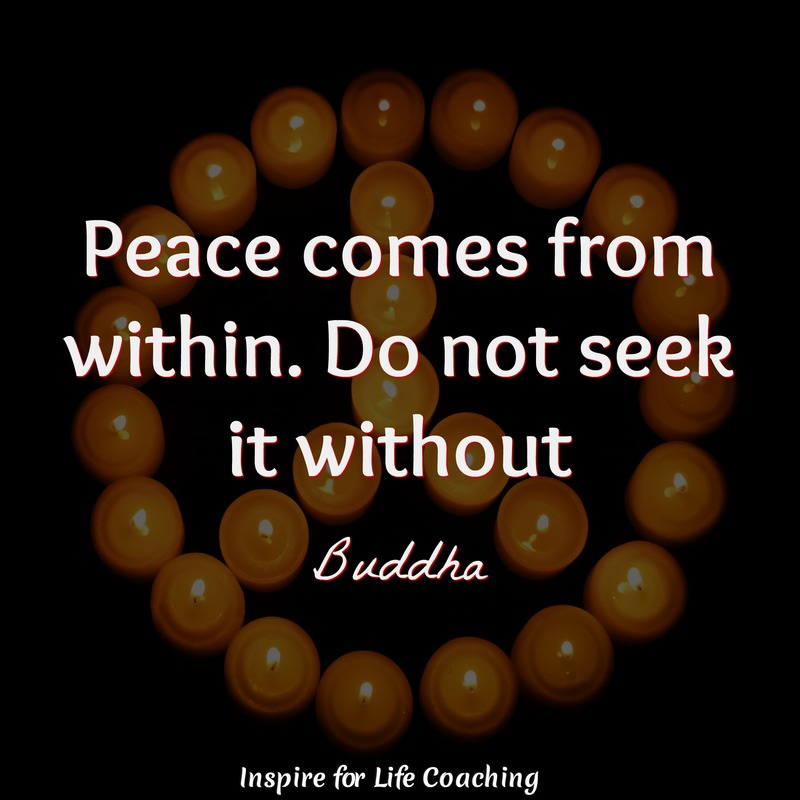 If the inner being is not at peace, circumstances can change regularly without creating more peace. Realising that you are a spiritual being having a human experience, the banalities of everyday life take on a different meaning. The key to living in harmony with oneself is practicing acceptance. 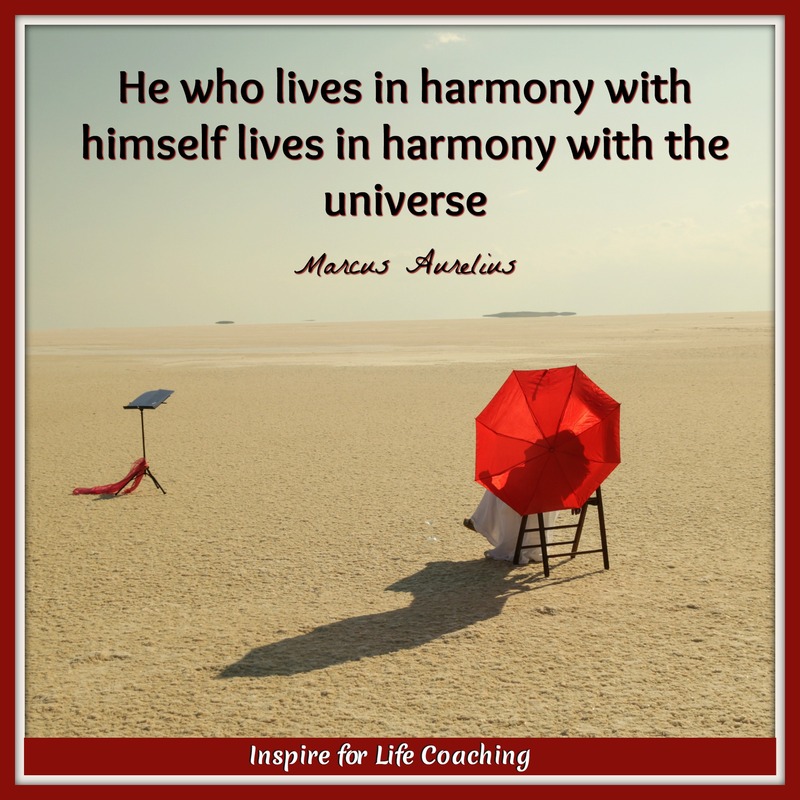 Accepting that you are not perfect but seeking wholeness is an excellent way to create inner harmony. Being slow to judge and criticise oneself enhances self-love, which increases inner harmony. When we understand our relation as spiritual beings to the Divine, it allows us to live in harmony with the universe. This is because we comprehend that there is only ONE. However even if you have a spiritual breakthrough, inner peace doesn’t miraculously appear on the doorstep. As with every discipline in life, we need to cultivate and practice inner peace. The habit of inner peace can take a while to establish, especially if stillness does not come naturally to you. However it is like building muscle memory, the more you use it the easier it becomes. One of the simplest ways to centre oneself in hectic times is through breathing. Our breath is the very essence of our lives. Once the breath expires so do we. 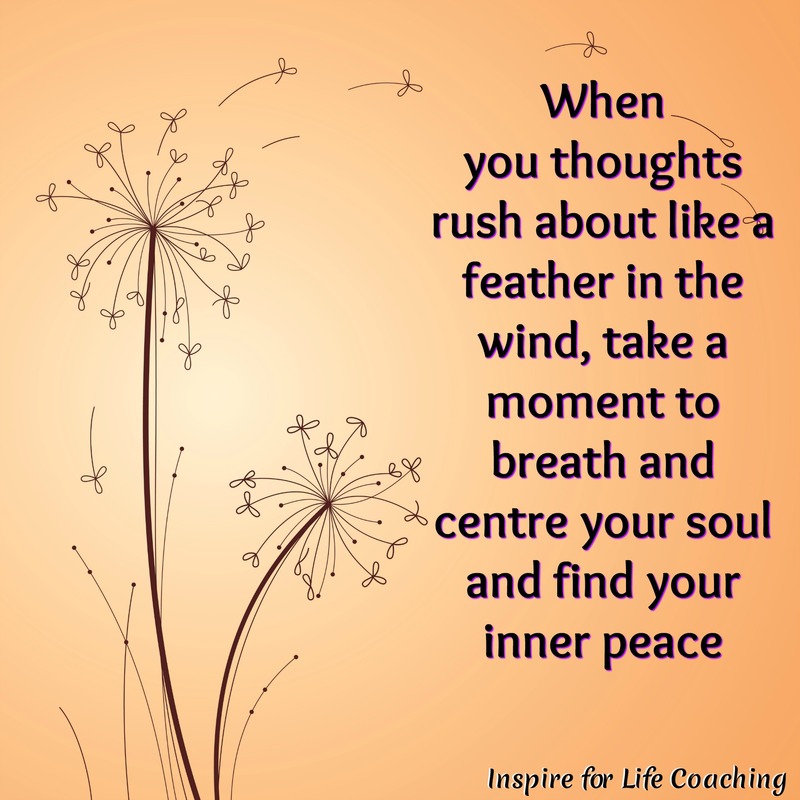 As the quote suggests, when your mind or life is hectic, take a moment to focus on your breath. 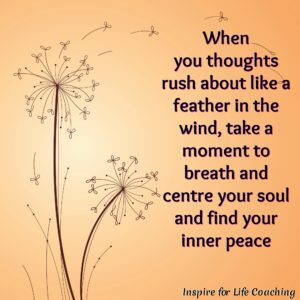 It is the fastest way to connect to your soul. You do not have to do anything fancy or set hours aside. It literally can take a few moments. As you breathe in, count to three, hold your breath to the count of three and exhale to the count of three. As you do this, you can focus on your breath by watching it come into your nostrils, expanding your lung cavities, and then escaping via your mouth. As you focus on your breath, remain present and conscious within yourself, focusing only on breathing. 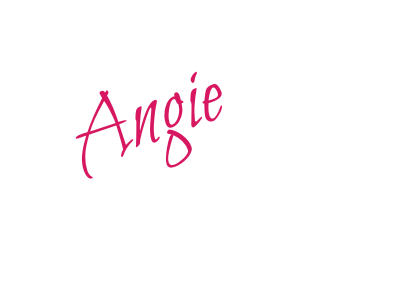 Once you have do this short exercise, you will feel calm, relaxed, and ready to continue with your day. The Dalai Lama teaches us that practicing compassion is the secret to inner peace. As with every practice, you start with yourself and then you share it with others. 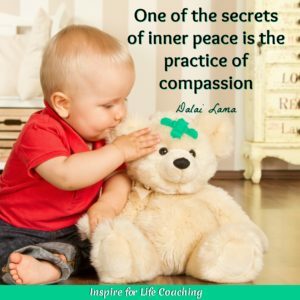 When we practice compassion, we acknowledge that there is more to our lives than meets the eye. We are accepting our imperfections along with our hidden beauty. We acknowledge our pain but don’t let it overwhelm us. Compassion is the gentle hand that catches the egg as it tumbles from the box. Compassion understands that fragility and strength are traveling companions. Compassion desires wholeness and healing over perfection. Compassion is the willingness to meet ourselves where we’re at, rather than where we think we should be. As we embrace the reality of what is rather than rejecting it, our compassion brings us closer to understanding who we really are. When we are compassionate with others, we understand the shoes they stand in because we understand their shoes are our shoes too. Your Life Is about You, So Don’t Make It About Others. It is also critical to remember that each of us is responsible for their own behaviour. How someone else chooses to act is his or her responsibility how we choose to respond is ours. 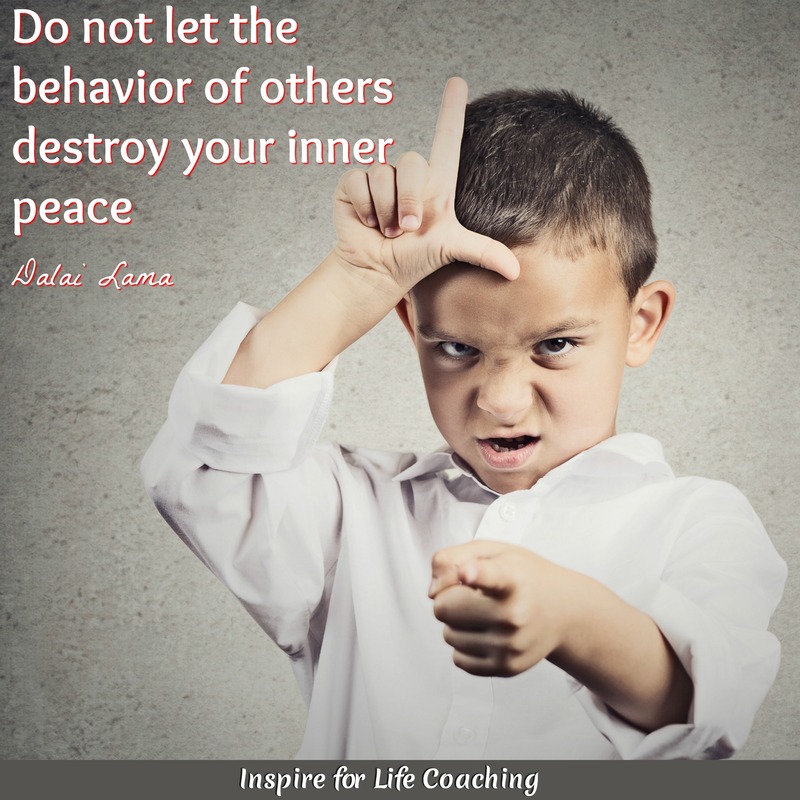 The actions of others may make us darn right angry but how we maintain our inner peace is our challenge. This is not easy especially when the people closest to us behave in a terrible manner, but we don’t throw ourselves overboard the first time a wave hits our boat. 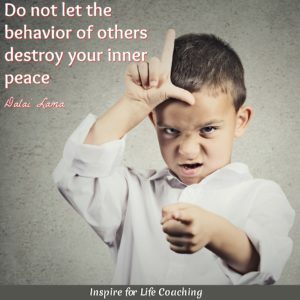 So continue to maintain your inner peace regardless of what others do. When you fall of the peace train, get back on again. Don’t abandon your inner journey! While none of us is responsible for the actions or non-actions of others, we are responsible for how we go about in the world. 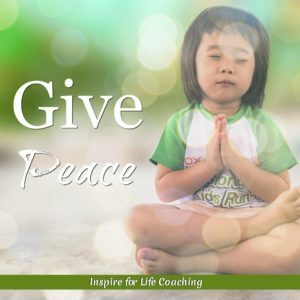 Therefore, if you have inner peace, give peace wherever you go. You cannot make another person peaceful but behaving at your peaceful best does wonders for calming turbulent situations. It is my experience that positive, uplifting behaviour is contagious, just as negative energy is. If we want to see change in the world, we have to be the change. If we want to experience world peace, we have to be the peace. 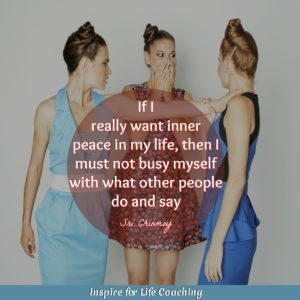 Here’s to your inner peace!